Anthem VIP demo is live right now and players have started to hit the log-in screen with a Connection Problem message. 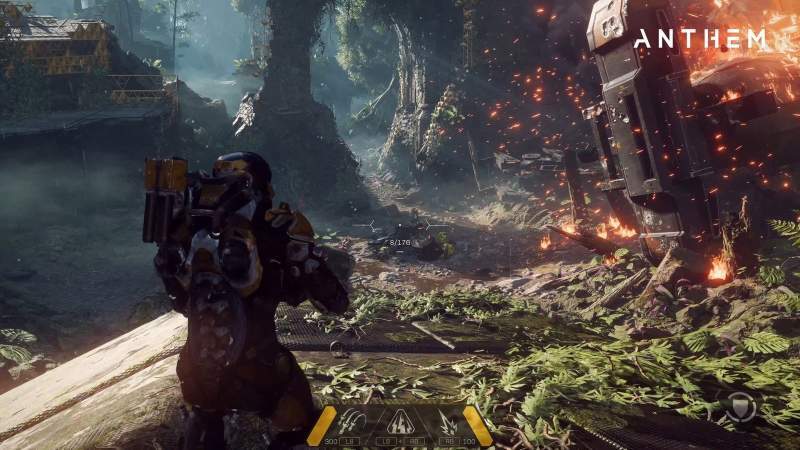 This Anthem Fix guide will show you how to solve the Connection Problem issue in Anthem Demo. The Error message which player reads “Connection Problem – We’re sorry, but the EA servers reached max capacity. Please try again later.” Currently, the Anthem’s servers are jam-packed with players desperate experience the gameplay and EA are working hard to ensure that the servers will be able to balance the traffic. To fix the Connection Problem issue in Anthem, try returning to the home screen on your Xbox One or PS4. Close the application from the Options button on PS4 or Menu button on Xbox One. Now try reloading Anthem and Still facing the game issue then wait for 30 sec and try again. UPDATE on #AnthemGame VIP demo – we're scaling the servers to let more players in gradually to avoid crashing. We'll continue to scale until everyone is in. Unfortunately, this issue looks to be on EA’s end right now, with its servers being at max capacity. You’ll just have to give it some time for the surge of players to drop off before you can log-in. Let us know how is your Anthem VIP Demo Experience. Check our other Anthem Guides, Tricks and Tips.